Employers and payroll administrators are bracing for changes in state income tax, and federal withholding to take place under the tax reform bill approved by Congress. Officials say a new w-4 could prove problematic. The tax reform bill approved by Congress will affect your paycheck next year, but at this point, nobody knows when ? or by how much. Employers and payroll administrators are waiting for guidance from the Internal Revenue Service and hoping the rollout won?t be a protracted accounting nightmare. 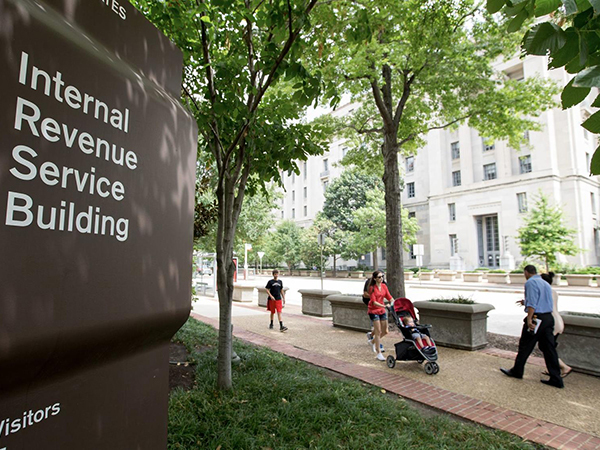 The IRS has offered little in the way of a timetable. ?We?re just looking for every opportunity to ? get the withholding right with the least workload and the least panic or chaos,? said Pete Isberg, vice president of government relations for ADP, the nation?s largest payroll firm. The Republican-backed legislation, which is awaiting President Donald Trump?s signature, will bring sweeping changes to the tax code, such as eliminating personal exemptions, nearly doubling standard deductions and lowering tax rates for individuals and corporations. For most employees, that should translate into less federal withholding and bigger paychecks, experts say. While the tax bill will take effect Jan. 1, the withholding changes will likely take some time ? and may require employees to make a few adjustments on their W-4 forms ? before the correct amount shows up on paychecks. The IRS needs to issue new tax withholding tables for employers and payroll administrators to use in calculating paycheck deductions. The agency said earlier this month that those would be out in January, but a Thursday statement provided little clarity. ?The IRS has started initial work on implementing this major tax legislation,? the agency said. ?We are working to provide more specific information and guidance to taxpayers, businesses and the tax community as quickly as possible in the weeks and months ahead.? If new withholding tables do come out in January, it will probably take until February to make payroll adjustments. That means January paychecks shouldn?t change. Since most employees will owe less tax under the new bill, it also means the federal withholding will likely be too high temporarily and could generate a refund in 2019. Because the tax bill eliminates exemptions ? personal allowances for employees and their spouses and children ? payroll administrators expect the government to issue a new W-4 form, with new instructions, after the updated withholding tables are released. ?Every worker in the workforce is probably going to have to sign a new W-4 sometime in 2018,? Isberg said. The potential lag between implementing the new withholding tables and a new W-4 could create another problem: an inaccurate withholding amount in the meantime, Isberg said. ADP has already reached out to the IRS with a proposal to reduce the number of exemptions per employee by an ?increment? prior to their filling out a new W-4, something Isberg said the agency is considering. Michael O?Toole, senior director of government relations for the American Payroll Association, which represents payroll administrators at 17,000 employers, said getting employees to fill out a new W-4 correctly may be the biggest challenge. ?The issue will be whether employees take the time to deal with the new W-4, take a look at their tax liability and make sure that they?re having enough withheld,? O?Toole said. The changes in federal withholding will not impact payroll taxes such as Social Security and Medicare, which will remain the same, O?Toole said. In addition to the federal W-4, Illinois has its own version of the form, which it plans to stick with, said Terry Horstman, a spokesman for the state Department of Revenue. ?The (state) W-4 does not need to be updated in light of federal action,? Hortsman said. ?There could be some cleanup language, but that would not impact the calculations.? Illinois will also continue to give taxpayers credit on their state income tax return for personal exemptions eliminated by the federal tax code, said Dan Rahill, a tax partner with Chicago-based accounting firm BDO. ?Taxpayers will still be able to claim an exemption amount for each person claimed, even though the exemption deduction has been eliminated for federal purposes,? Rahill said. ?Taxpayers will still get a $2,175 deduction for each exemption claimed on their Illinois return.? Despite the broad implications of the federal tax bill, Rahill and other Chicago accountants say payroll processing is not at the top of most clients? list of questions. ?I?m getting a lot of calls from people asking if they should prepay their real estate taxes, but I haven?t gotten a single call asking about withholding yet,? said Geoff Harlow, a partner with Deerfield-based accounting firm Kessler Orlean Silver & Co.